SX4 in Prilosec OTC commercial? There's a new commercial on TV for Prilosec OTC with Larry The Cable Guy and he's driving what looks like either an SX4 or a Maverick. Couldn't get a good look at the car as they didn't show the entire vehicle, just a side shot from midway up the door and up but the car is present thru the whole commercial. Anybody else catch it? I did notice a big round reflector on the LR QP which got me thinking possibly SX4 and not a Concord. Re: SX4 in Prilosec OTC commercial? 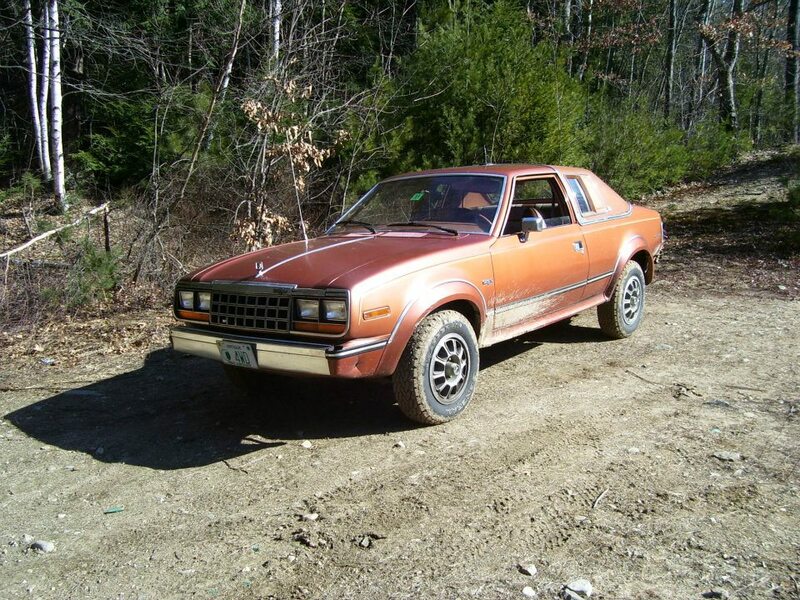 Definitely not an AMC, it has no paddle door handle. I think it's a Pinto. 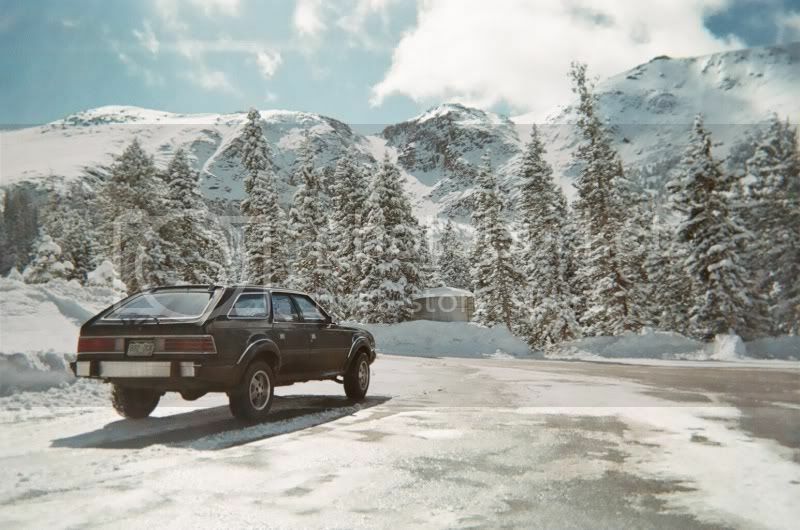 i've seen the commercial before and the first time i saw it i thought it was a sx/4 at first till i got a good look at it and it is definitely a ford pinto. Good eyes! I've only seen that commercial once or twice, didn't even think of looking at the door handles. First thing I noticed was the Alberta license plate. Where did you find this picture? 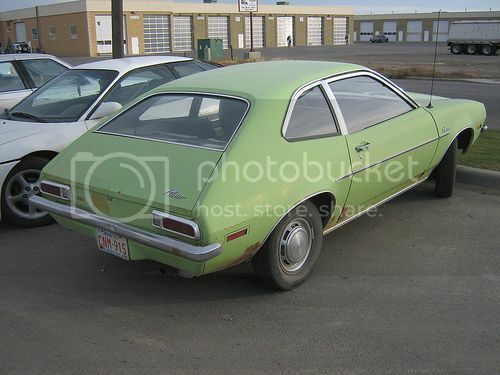 My best friend drives a 1980 Ford Pinto... I gotta show him this. Friends don't let friends drive Pintos...get him to upgrade to an Eagle! I was going by the side of the front bumper at 16 seconds. It's black. The 79-80's had black plastic ends. However, now that I study it, the whole bumper may have been painted black or they have 2 different year Pintos at 16 seconds and 27 seconds. 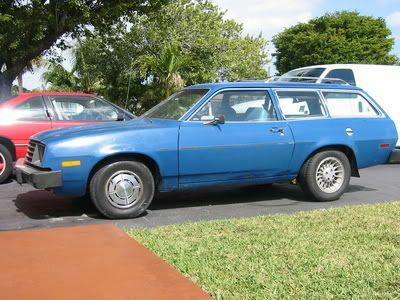 I learned to drive in my dad's 79 Pinto Wagon and briefly owned an 80 Pinto wagon. It doesn't show in the pic, but it was a total rust bucket. Its either a ford pinto or a mercury bobcat ...I didn't see the elongated tail lights so I'm going with a pinto.